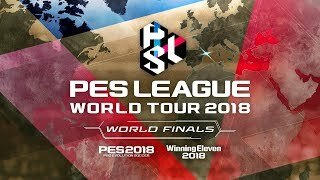 The teams ranked 4th and 5th in the PES LEAGUE WORLD TOUR RANKING will battle each other for the last seat of the CO-OP category WORLD FINALS. Each player will play one match against all players in their group, and the top 2 players will proceed to the knockout stage. 4 top teams from the group stage will be matched to play against each other based on the results. The matches will be carried out in a knockout format, and the cards will be decided based on the WORLD TOUR RANKING. The teams that can be used will be notified from the admin team prior to the competitions. Competitions with uniform player ratings will apply a uniform overall rating to all players on selectable teams. As a result, the differences in overall strength between teams will be virtually eliminated. Players' individual abilities, such as having great pace, will be retained as much as possible. This way all users are free to use their favourite teams in the competition. The Official Rules have been deposited with the Notaries Public José Enrique Cachón Blanco and Manuel Mellado Rodríguez, notarial act nº 3.990 of 19.07.2018, Notary Mr. Cachón Blanco – Calle Goya 25, 28001 Madrid. In addition to the above, the following amount will be awarded to the winner of each competition as a promotion cooperation fee. The amount detailed in the column entitled “CO-OP” is the amount that will be awarded per player in the team. Each competition winner will be asked to create content and participate in interviews with press and other media outlets after each competition. All participants will be asked to participate in 'Pro Evolution Soccer' related events that will be held during their contract period. All participants will be asked to create content during and before offline events (interviews, photographs, and video recordings). All participants will be asked to participate in interviews with press and media outlets. When participating in the event, we will ask you to sign the event participation contract, including the above contents.